Dr. Maria Grazia Marranzini-Grosman’s love of children led her to the profession of pediatric dentistry. She believes that every child should experience the benefits of a healthy smile, and she loves showing her patients that there is nothing to be afraid of. In fact, many of her young patients actually enjoy coming to the dentist! Dr. Maria’s mission is to create a bond of trust with her patients that will last as long as their beautiful smiles. Dr. Maria completed her dental training at Marquette University in Milwaukee, WI, earning her Doctorate of Dental Surgery. Following two years of practicing general dentistry in Lakeland, FL, she decided that she wanted to dedicate the rest of her career to children’s dental health. She then went back to school for three years to complete her Specialty Certificate in Pediatric Dentistry at Tufts University School of Dental Medicine. As a Diplomate of the American Board of Pediatric Dentists, Dr. Maria is actively involved in continuing her education through the local and national dental communities. She is also a member of the American Dental Association, the Florida Dental Association, and the Southeastern Society of Pediatric Dentistry. Dr. Maria is originally from Santo Domingo, Dominican Republic, and after graduating high school there, she then moved to the United States to complete her post-graduate education. 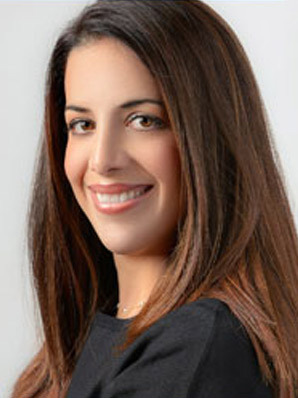 During her residency, Dr. Maria met her husband, Dr. Alon Grosman, while he was completing his orthodontic training. They now live in Weston with their children Daniel, Ilan and Mia. She is fluent in English and Spanish.